This entry was posted in Adult, Doujin, Download and tagged Cloud Palette, Touhou by Lena K.. Bookmark the permalink. I liked this one more than Marshmallow Heart. It seemed a little sweeter to me. And I've taken a liking to Marisa, as well. And I want that pillow (as long as he doesn't make me do anything I might regret). Maybe you'll even have a favorite pairing soon? I read a Marisa x Meiling doujin earlier, but it (sadly) wasn't R-18. It was still pretty good, even though it was mostly Sakuya x Reimu. For the time being, I'll just ship Marisa x Meiling until another pair catches my eye. I just wish there was more to read about those two. Maybe you're lucky and your favorite (yet totally disturbing) favorite pairing Meiling x Marisa will someday get more doujinshi. Doujinshi eh? Speaking of artwork, I happen to like illustrator “OniNeko” 's artwork; it has a decent deal of yuri themes to them but yet having a transient/otherworldly feel to them. Oh, another reason I like OniNeko's art work is that it is completely (from what I've seen) missing y chromosome type. Onineko has done art on pixiv, own site,artbooks, as well as a recent card game I do not like so much. Back to Doujinshi, I rather like Ryou Morogami's Keine x Child Mokou strips tho there aren't more than 2 I think. 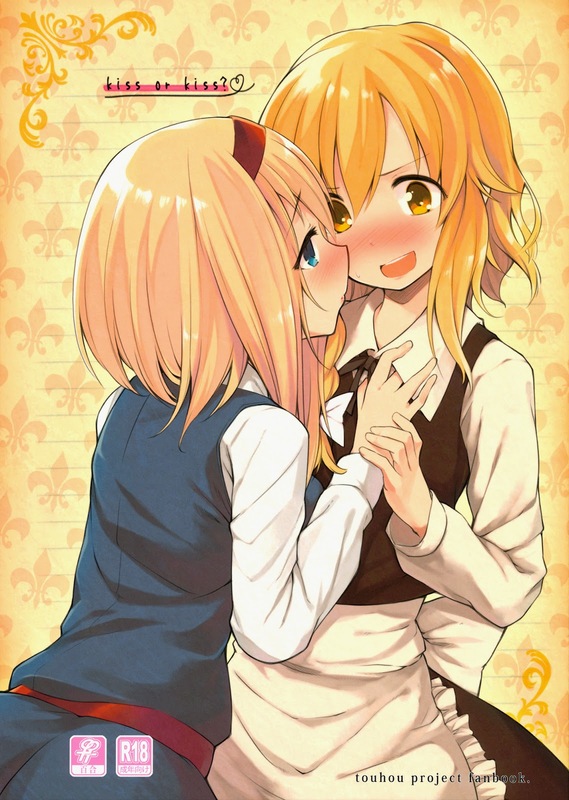 There is a new yuri doujin by Hiiragi Yukata canyou translate? please? I'd love to, but I don't have the scans.